Sam joined Mutual Energy in March 2017, after a twenty-year career with NIE Networks, to take up the role of Moyle Operations Manager. 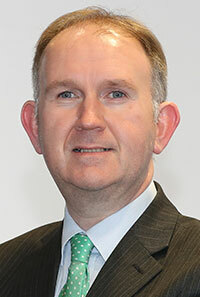 He is responsible for the operation and maintenance of the Moyle Interconnector, the HVDC link between Northern Ireland and Scotland. This includes the Northern Irish and Scottish converter stations, and the twin 60km cable circuits between them. In his most recent roles in NIE, largely within the asset management arena, he was responsible for substation maintenance, asset knowledge strategy and plant investment strategy. He also project managed ISO 55001 certification, and was heavily involved in delivery of the RIGs regulatory reporting system. He is recognised within the wider UK asset management community for his work on the Maximo asset management platform, and was chair of the UK user group. Sam was also heavily involved in emergency restoration, both as a Senior Authorised Person, and latterly as a Network Status Manager within the NIE Duty Incident Team structure.